Uganda has a safari for every traveler. What will your travel story be like? 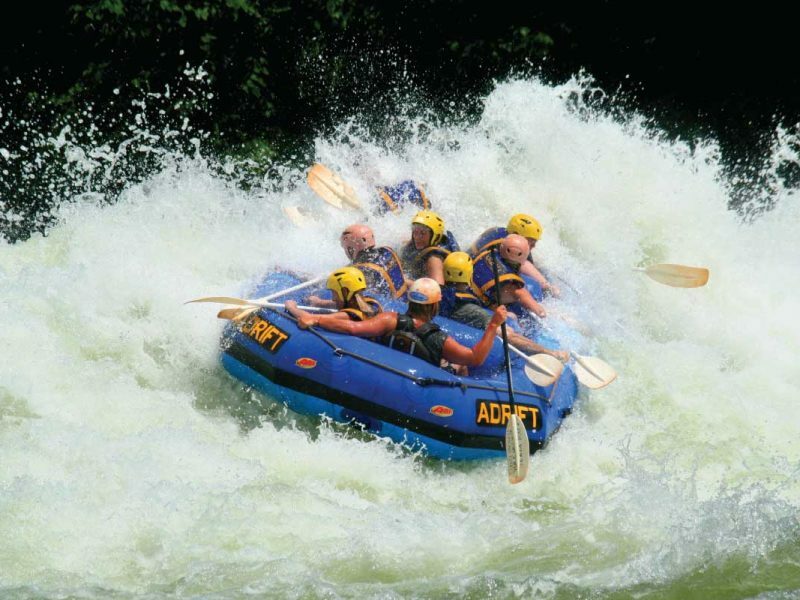 Uganda safari packages and tours range from bucket list adventures to tours that range from affordable to luxurious. Read our inspirational stories from our happy travelers on our blog and get inspired to chose a destination with a date. Want to travel in a group but don’t know with whom? See our top recommendations for a safaris of 2019 – Scheduled Uganda Safaris. Traverse and discover Uganda’s & Rwanda natural beauty and diverse cultures from Entebbe to Kigali experiencing the varied beautiful landscapes, traditions, sceneries & Wildlife. Visit Bwindi Impenetrable Forest & Volcanoes National Parks for an unforgettable gorilla trekking experience. Uganda Gorilla Trekking is an unforgettable experince that takes you up-close with the magnificent mountain gorillas of Bwindi Forest jungle. Trek through the lush tropical rainforests in search for Mountain Gorillas, Chimpanzees, Debrassa monkeys and many more primates! On this Murchison Falls Safari you’ll most likely catch glimpse on the Africa Big Five. The Africa big five are among the most dangerous, yet most popular species for big-game hunters to hunt and the safari tourist – these include the African lion, African elephant, Cape buffalo, African leopard, and rhinoceros. On the Bwindi Gorilla Tracking Safari we take you on adventure through the Misty thick jungles of Afirica’s most diverse forest, Bwindi Impenetrable Forest situated along the Democratic Republic of the Congo (DRC) border next to the Virunga National Park and on the edge of the Albertine Rift trekking the endangered Mountain Gorillas and their families. Apart from the Rhino, you can catch four of the famous members of the AFRICA BIG FIVE (African lion, African elephant, Cape buffalo and African leopard) on the Queen Elizabeth National Park Safari. On this safari you also get to glimpse at the famous Ishasha Sector tree climbing lions. 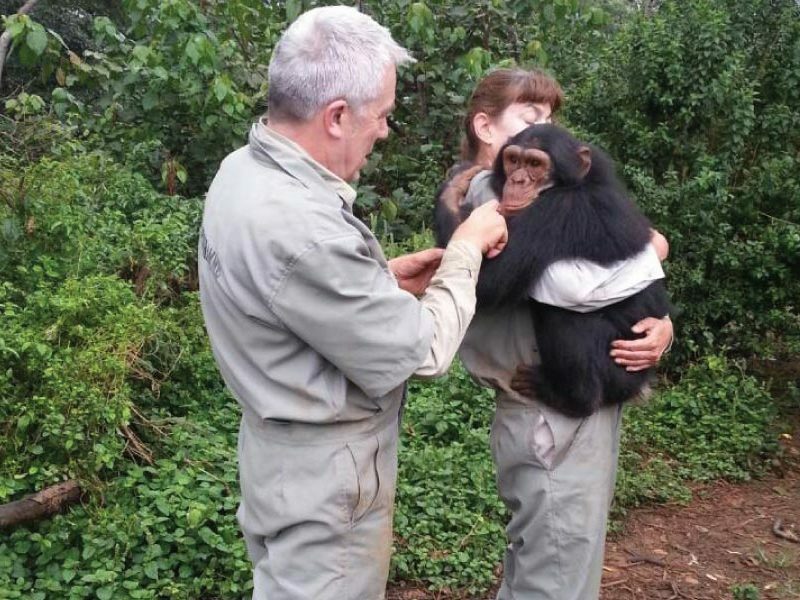 Allow Wild Discoveries Safaris Uganda to take you on this exciting chimpanzee safari and take in the great adventure experience, chimpanzee tracking and the amazing wildlife safari in Uganda’s most famous parks, Queen Elizabeth National Park and Lake Mburo National Park. Enjoy this mixed wildlife safari game viewing adventure from big cats, antelopes and massive elephants in the lush savannah to the mighty Gorilla trekking in the park rain forest. Spot the tree climbing lions in Ishasha and experience being in the middle of the world at the equator before proceeding to see the zebras and new giraffes in L. Mburo National Park. Uganda’s remarkable avian diversity (1,061 species, of which two are endemic and four are rare or accidental) can be attributed to its location between the East African savannah, West African rainforests and semi-desert of the North. Uganda offers easy access to bird-rich habitats that are difficult to reach elsewhere. From Entebbe via Kampala you’ll visit the thunderous Murchison Falls, the Rhinos of Ziwa, the Tree climbing lions of Ishasha in Queen Elizabeth National Park, the Zebras of Lake Mburo National Park of course the unforgettable gorilla trekking in the Bwindi. Traverse and discover Uganda’s natural beauty and diverse cultures from the central to the east, north and western regions, experiencing the varied beautiful landscapes, traditions and sceneries. Visit the source of the 2nd longest river in the world and all of the most awesome National Parks of Uganda. We've partnered with SafariBookings.com, an online safari resource where tour operators are being reviewed. Read the reviews written by travelers who trusted us to deliver to them unparalleled travel adventures and maybe drop us a review.